San Francisco is close to passing a bill that would require cell phone retailers to clearly mark how much radiation is emitted by the phones they sell. On Tuesday, the San Francisco board of supervisors voted in favor of the ordinance but must cast a final vote next week. It is expected to vote for its approval. The new law would require retailers to follow a strict procedure for including the "specific absorption rate" on display materials for phones sold in the store. SAR is a measure of cell phone radiation that the U.S. Federal Communications Commission requires all cell phone makers to disclose. The stores will also have to explain what SAR means and direct consumers to further information about cell phone radiation that the city's Department of the Environment will develop, including tips for minimizing exposure. The retailers will be required to supply that information to consumers. If the ordinance passes, cell phone operators will be required to provide the city with a list of retailers that sell phones in the city, and provide the retailers a list of SAR values for the phones they sell. Retail chains would have until Feb. 1, 2011, to start displaying the SAR values, but would not be penalized for not doing so until May 1. Independent retailers would have an additional year to display the information, with no penalties until Aug. 1, 2012. Penalties for failing to display the information aren't great. Retailers would first have a chance to correct the problem. If they don't, they'll be asked to pay $100 for a first violation, $250 for a second and $500 for each violation thereafter. 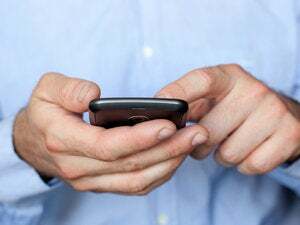 The CTIA, a trade association representing mobile operators, said it was disappointed that the board of supervisors advanced the bill. "Rather than inform, the ordinance will potentially mislead consumers with point of sale requirements suggesting that some phones are 'safer' than others based on radio frequency (RF) emissions," John Walls, CTIA vice president of public affairs, said in a statement. "In fact, all phones sold legally in the U.S. must comply with the Federal Communications Commission's safety standards for RF emissions. According to the FCC, all such compliant phones are safe phones as measured by these standards." San Francisco's leaders, however, believe lower radiation carries less potential risk. When introducing the legislation in January, San Francisco Mayor Gavin Newsom said its goal is partly to encourage phone makers to redesign their phones to emit less radiation. He compared it to another law that ultimately led companies to avoid using certain toxic materials so that they wouldn't have to display product warnings. He also noted that the amount of radiation from cell phones varies widely depending on the model, but that the amount has no baring on the way the phone operates. He pointed to recent studies indicating that exposure to cell phone radiation can lead to health problems, and said the uncertainty around the affects of radiation warrant precautionary action.